It is a big week for jazz buffs in Lethbridge as the Lethbridge Jazz Festival kicks off June 16. There will be live jazz music throughout the week at venues including the Slice, Tongue N Groove, Sterndale Bennett Theatre, plus there will also be a supper time jazz program throughout the week at Ric’s Grill, the Mocha Cabana, Plum and Streatside. 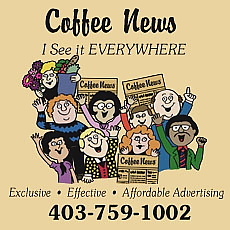 There will even be live jazz music at Galt Gardens, June 17 with Music in the Making featuring the University of Lethbridge Conservatory and Young Lions, which includes local middle and high school jazz ensembles. Some highlights of the festival with be performances by Canadian jazz legends Tommy Banks at the Sterndale Bennett Theatre, June 18. As well, Trombonist and vocalist Allen Jacobson returns home to Alberta for this one off gig at the Tongue N Groove, June 17. Young up-and-coming jazz/ classical guitarist The Alex Goodman Quartet will wind up things at the Slice, at 2 p.m., June 19. The Slice is doing double duty this Saturday, June 18. In addition to hosting an afternoon jazz jam with the Usual Suspects that evening, they will play host to the South Country Fair Songwriting competition finals. So a variety of Southern Alberta Songwriters in two categories — beginners who don’t have a record out and experienced for musicians who do. The winner of each category receives a prize package including a chance to play their song on the main stage. The show begins at 7 p.m., always starts on time and is always packed, so don’t be late if you want to see some up and coming songwriting talent. After the competition, local musicians Matt Robinson and Leeroy Stagger will be performing. The Slice is also doing double duty Sunday, June 19 as they have the Alex Goodwin Quintet winding up the jazz festival in the afternoon and will be bringing back upbeat alt-country band, Pernell Reichert Band to perform in the evening. Long and McQuade is celebrating their official grand opening all day Saturday with live music. It’s a natural fit as the staff make up a good chunk of the local music scene, so come and check out bands like the Necessities and Psychomantium and many others from 11:30 a.m. to 7:30 p.m. who will be playing outside in the parking lot across the street. 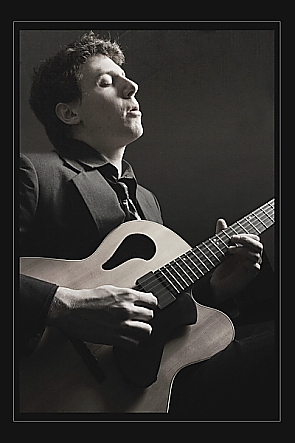 Toronto based guitarist Alex Goodman will be winding the Lethbridge Jazz Society’s first solo jazz festival, June 19 at the Slice in the afternoon. Goodman, who was here with the Brent Mah Quartet a few weeks ago, will be bringing his own band this time including saxophonist Nick Morgan, pianist D’Arcy Myronuk, bassist Dan Fortin and drummer Maxwell Roach who will accompany him on guitar. The Lethbridge Jazz Festival will be the fourth stop on his new 15 day long tour supporting the CD. It will continue with a couple of gigs at the Medicine Hat Jazz Festival. “I want to dig into contemporary jazz music, but I am influenced by classical music,” he said. 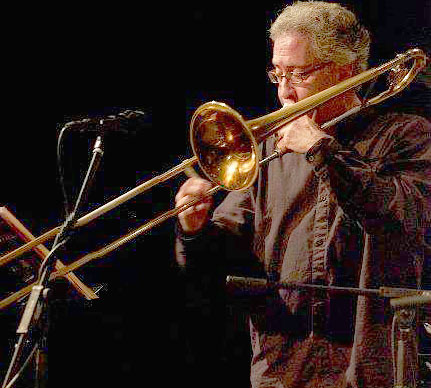 Trombonist/ conductor/ vocalist Al Jacobson will be introducing Lethbridge jazz aficionados to the music of European jazz composers they might not hear otherwise. He will be conducting the Contemporary Works Jazz Orchestra as well as playing trombone and scatting, June 17 at The Tongue N Groove. “You don’t go away from a European jazz concert tapping your toes or snapping your fingers, but it will be interesting,” said Jacobson calling from his home just outside of Frankfurt, Germany. He is also been on the faculty of the Peter-Cornelius Conservatory in Mainz and is a visiting professor at the Mannheim University of Performing Arts. Candian jazz legend and Senator Tommy Banks will be making a rare public performance in Lethbridge, June 18 for the Lethbridge Jazz Festival, at the Sterndale Bennett Theatre. “I’ll be playing a wide variety of good music,” Banks promised over the phone from Ottawa. He said it has been at least 10 years since he has played Lethbridge. Banks, who has a storied career which has included many highlights including playing for the Pope and the Queen as well as composing music for Expo 86, as well at the Calgary Olympics in ’88, is looking forward to playing the Lethbridge Jazz Festival. Being busy in the Senate, he doesn’t play live as often as he’d like, so his solo piano show at the Sterndale Bennett Theatre, June 18, will be a special treat for everybody. “I love that someone started a jazz festival. Summer festivals are wonderful as long as they don’t take away from what is happening the rest of the year,” he said. “It will be good music encompassing jazz classics and standard jazz repertoire,” said Banks, who started playing professionally back in 1950. He has received a Juno Award, a Gemini Award, Several ARIA Awards, the Grande Prix du Disques-Canada and is a member of the Edmonton Cultural Hall of Fame. He is looking forward to playing the Festival. “Well, I was asked,” he said. “I’m not touring around much because Parliament is in session, I’m not playing very much msuic now, ” he said, joking he hopes people won’t be able to tell. Carmen Townsend plans to bring the rock with the Motorleague to the Tongue N Groove, Tuesday, June 14. 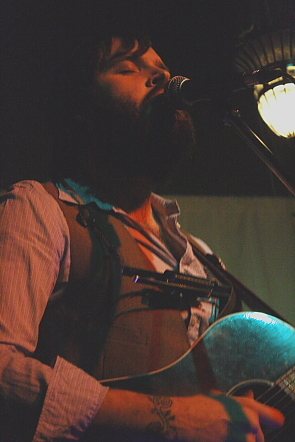 The band drove straight out west from Waterloo to begin their tour on Vancouver Island and will play their way back home. “We’re playing with some friends of ours called The Motorleague. We’ve never shared the stage with them. But we’ve seen them at the same venues and festivals,” said Townsend , adding they got talking at a gig and decided it would be cool to play a show together. Townsend’s music sounds like a mix of Feist with soulful old blues singers like Koko Taylor with a touch of Janis Joplin, a little Macy Gray plus an adrenaline boost and hopped up on cigarettes and shots of whiskey. “I’m a singer-songwriter, but my music is definitely on the side of rock and roll. That’s what I really sound like,” she said. 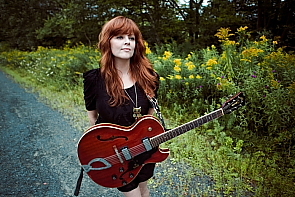 She recently got to stretch her singer-songwriter chops on a tour with classic rockers Heart. “I did a cross-Country tour with Heart. It was totally a dream come true for me. I used to lip-synch her songs and they’ve been a huge influence on me — two women playing rock and roll. When they came out there were not a lot of them,” she enthused adding she felt really connected to them.